Hero Electric has launched the NYX scooter for the Indian market at Rs. 29,990. 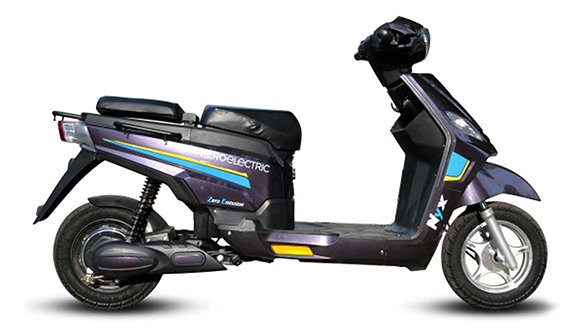 The scooter gets its power from the 48V, 24AH, VRLA-AGM battery with a Brushless DC (BLDC) motor which can produce 250W. The most remarkable features of the scooter include: storage box with bottle holder, multiple grab rails, split seats, telescopic front fork, 160 mm ground clearance, 16″ wheels, fire-resistant wiring harness etc. The NYX has got a claimed top speed of 25 kmph and on full charge can cover 70 km easily. 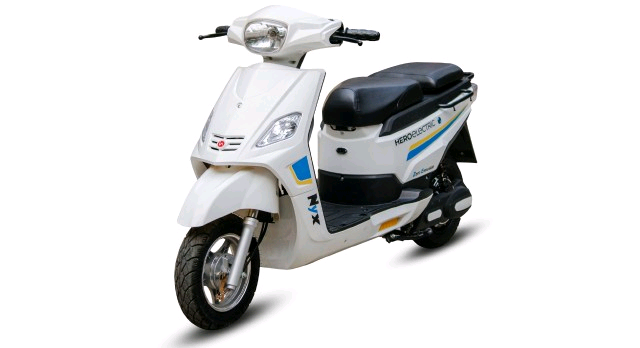 The Hero Electric NYX is a crude looking scooter as per 2016 standards and is positioned in the Super Economy Series of Hero’s electric two-wheeler range.